1. Visit The Country: Read a book that has setting in a country that you really want to visit in real life. Make sure the setting has a big role in the book and it can make you know a little bit more about your dream destination —Beautiful Ruins (Jess Walter). Italian coastline always fascinated me. Or maybe Let The Great World Spin (Colum McCann), since New York City is always a charm! 2. Cover Lust: Pick a book from your shelf that you bought because you fell in love with the cover. Is the content as good as the cover? 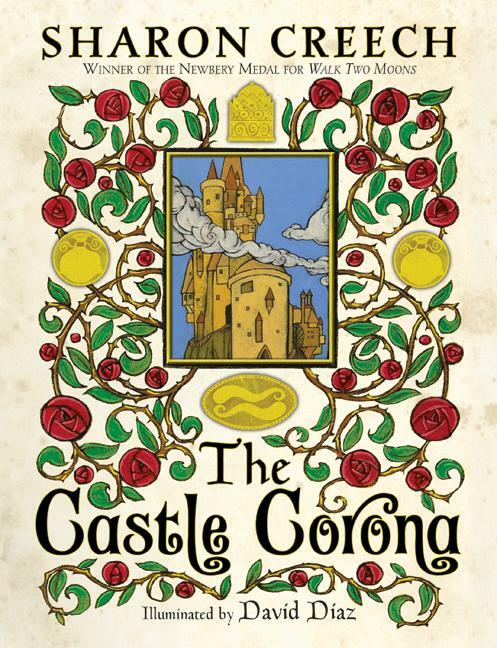 —The Castle Corona (Sharon Creech). I took a look at the cover and instinctively bought it. 3. Blame it on Bloggers: Read a book because you’ve read the sparkling reviews from other bloggers. Don’t forget to mention the blogger’s names too! —Memoirs of an Imaginary Friend (Matthew Green), thanks to Mia who tempted me to read this one! 4. Bargain All The Way: Ever buying a book because it’s so cheap you don’t really care about the content? Now it’s time to open the book and find out whether it’s really worth your cents. —Many contenders here, but probably I’ll read Faith (Jennifer Haigh) -got it for only 15k (new book) in one of Periplus sales. If I have time, I’ll also read Farundell (LR Fredericks), bought it for $5 in Book Depository 25 hrs sale. 8. Chunky Brick: Take a deep breath, and read a book that has more than 500 pages. Yep, the one that you’ve always been afraid of! —Antony & Cleopatra (Colleen McCullough): 720 pages! 11. Movies vs Books: You’ve seen the movie adaptation (or planned to see it soon) but never had time to read the book. It’s time to read it now, so you can compare the book vs the movie.– The Lord of The Rings Trilogy (JRR Tolkien): hope I can finish this at last! 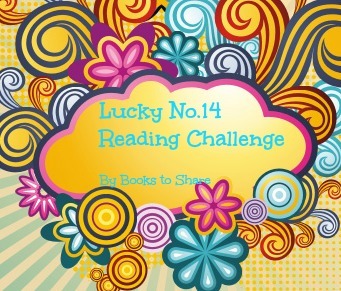 Do you want to join this challenge? Please click here for more details on how to sign up 🙂 Enjoy! yeaaaay, thanks ya 🙂 semoga senang! Hi! I love these groups and am considering this one. I thought you might be interested: I have opened 3 new ones of my own! I want everyone to read & review in their own language. Except messages on my blog, why should it be English? I **LOVE** looking at other languages! Anyone who wishes to know what reviews say, may ask. menarik. nanti bikin master post dulu di blog..
yeaaay, selamat datang di lucky no 14 🙂 salam kenal and enjoy your ride ya!